. "Steve MacLean". The Canadian Encyclopedia, 15 November 2018, Historica Canada. https://www.thecanadianencyclopedia.ca/en/article/stephen-glenwood-maclean. Accessed 21 April 2019. Steven Glenwood MacLean, FRCGS, physicist, astronaut (born 14 December 1954 in Ottawa, ON). Steve MacLean was among the first astronauts recruited in Canada and in 1992 became the third Canadian to fly in space. 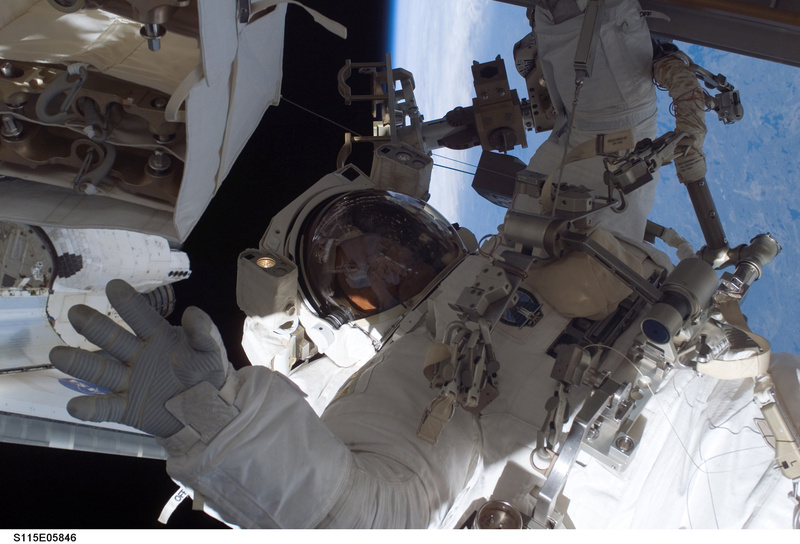 On his second mission to space (2006), he became the first Canadian to operate the Canadarm2 robotic arm and the second to complete a spacewalk, after Chris Hadfield. He has also contributed to the country’s space programs as director general of the Canadian Astronaut Program (1994–96) and president of the Canadian Space Agency (2008–13). Photo taken on 28 September 2005. As a child, Steve MacLean’s interest in science was inspired by the televised NASA shuttle launches and landings that were part of the Gemini and Apollo space programs of the 1960s and early 1970s. He cites US astronaut John Young, who flew on missions for both programs, as one of his early heroes. Because Canada had no astronaut program of its own, however, MacLean did not envision a future as an astronaut. He attended elementary and high schools in Ottawa before moving to Toronto to attend York University, where he earned a Bachelor of Science (1977) and a PhD (1983), both in physics. In the mid-1970s, he worked in sports administration and public relations on campus, in addition to competing internationally as a member of the Canadian National Gymnastics Team in 1976–77 (see also Gymnastics). The focus of MacLean’s research included electro-optics, laser-induced fluorescence of particles and crystals, and multi-photon laser spectroscopy. He taught part-time at York from 1980 to 1983 before beginning post-doctoral work at Stanford University, in California, under Nobel Prize-winning laser physicist A. L. Schawlow. In 1983, while at Stanford, MacLean was convinced by a colleague to apply to the first recruitment campaign of the Canadian Astronaut Program. By the end of the year, he was one of six Canadians selected to form the nation’s first group of astronauts. He trained as a payload specialist involved in improving the efficiency of the Canadarm, the robotic arm used on the Space Shuttle Columbia. 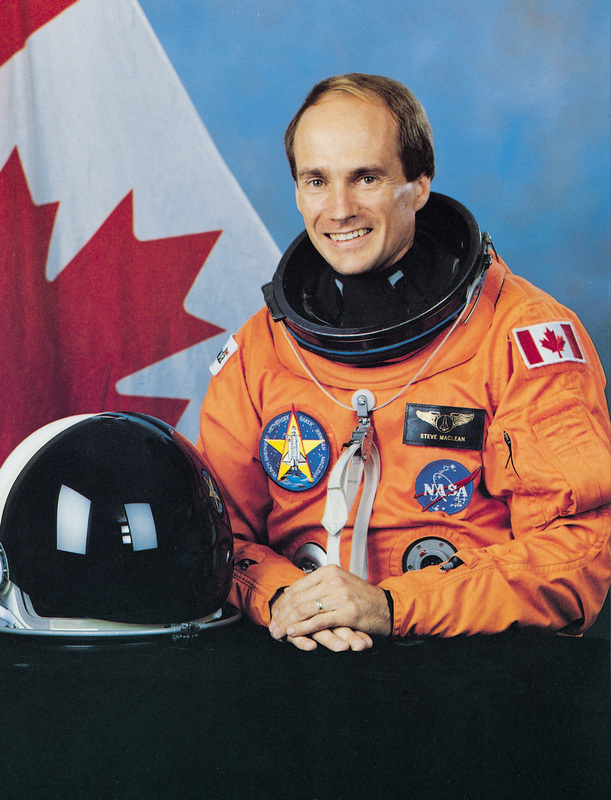 MacLean became the third Canadian to fly in space, serving on mission STS-52 aboard the Columbia from 22 October to 1 November 1992. On this mission, he tested the first flight prototype of the Space Vision System (SVS), a computerized TV system for controlling the operations of the Canadarm. He also performed a series of experiments called CANEX-2 focusing on space technology, space science, materials processing and life sciences. 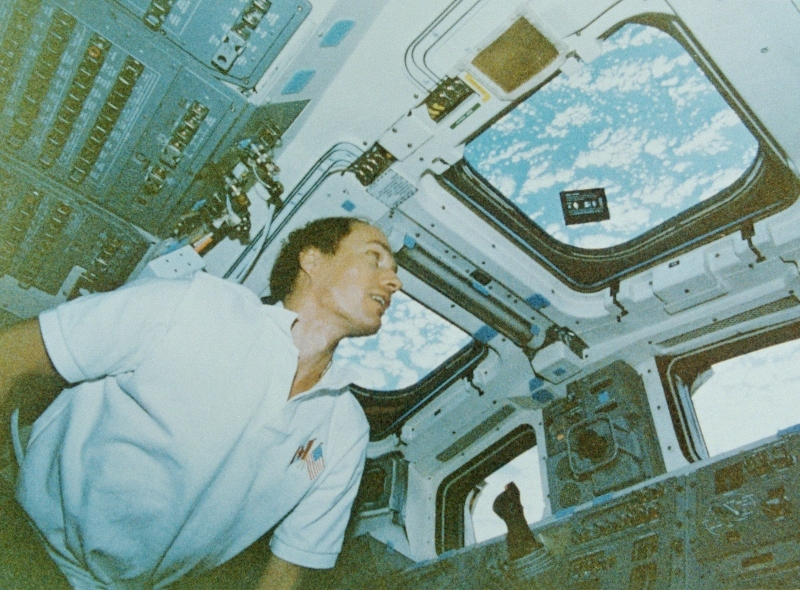 Canadian astronaut Steve MacLean looks out from an aft-deck window of Space Shuttle Columbia, during STS-52, which flew from 22 October to 1 November 1992. 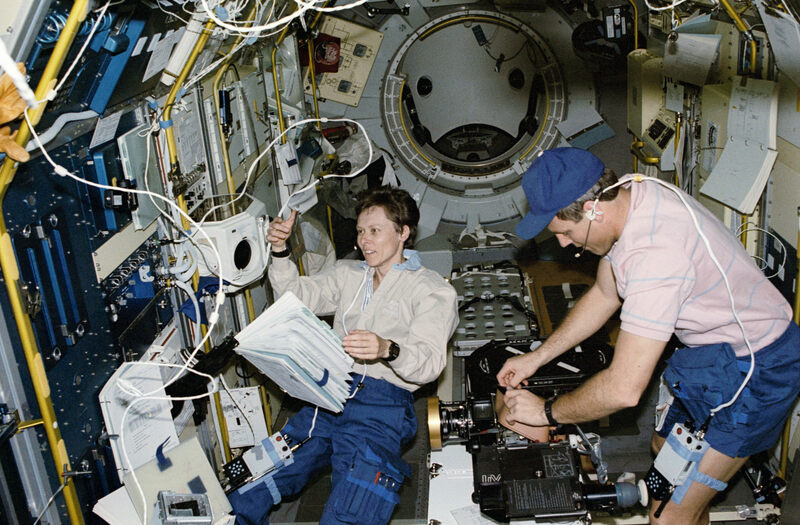 From 1993 to 1994, MacLean was chief science advisor for the International Space Station (ISS) before serving as director general of the Canadian Astronaut Program for two years. He undertook mission specialist training in 1996 while occupying various roles at NASA. 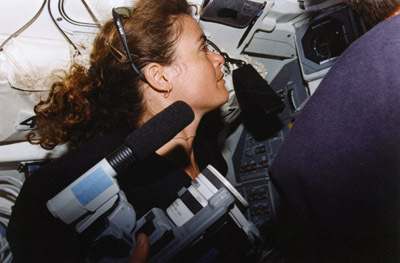 After the 2003 Columbia shuttle disaster, in which all seven crew members were killed when the craft broke apart while re-entering Earth’s atmosphere, MacLean served as the casualty assistance and calls officer for one of the crew members, Israeli astronaut Ilan Ramon. (See also NASA’s Columbia Shuttle Disaster.) In this role, MacLean supported his late colleague’s family through the tragedy. He also worked on initiatives at NASA to ensure crew safety and aircraft security ahead of the agency’s next flight mission. This included his role as technical lead for the Orbiter Boom Sensor System, a Canadian-built, 50-foot extension boom outfitted with cameras and lasers that could be attached to the Canadarm and would allow astronauts to examine shuttles for damage while in space. 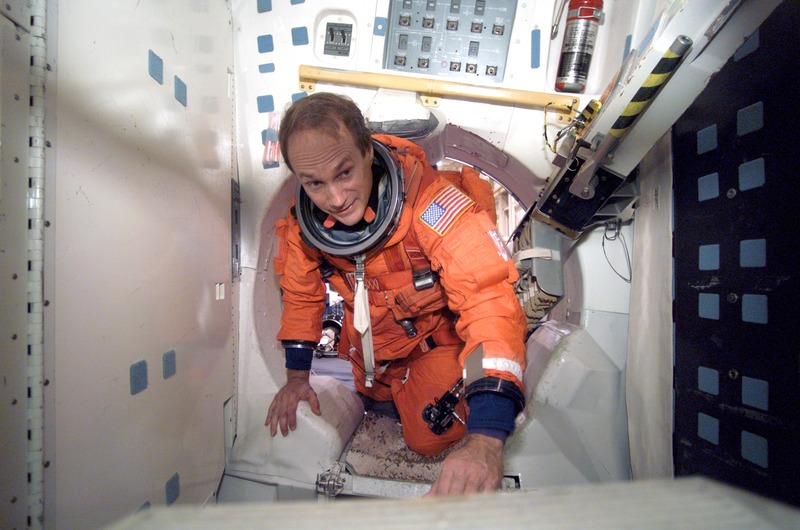 In September 2006, MacLean travelled to space for the second time, serving as mission specialist aboard the Atlantis shuttle. The purpose of Mission STS-115 was to resume assembly of the ISS after a delay of four years. The crew used the Orbiter Boom Sensor System to inspect the Atlantis shuttle for damage before docking to the ISS and before embarking on their return flight. During the mission, MacLean became the first Canadian to operate Canadarm2 in space and the second to perform a spacewalk, after Chris Hadfield. 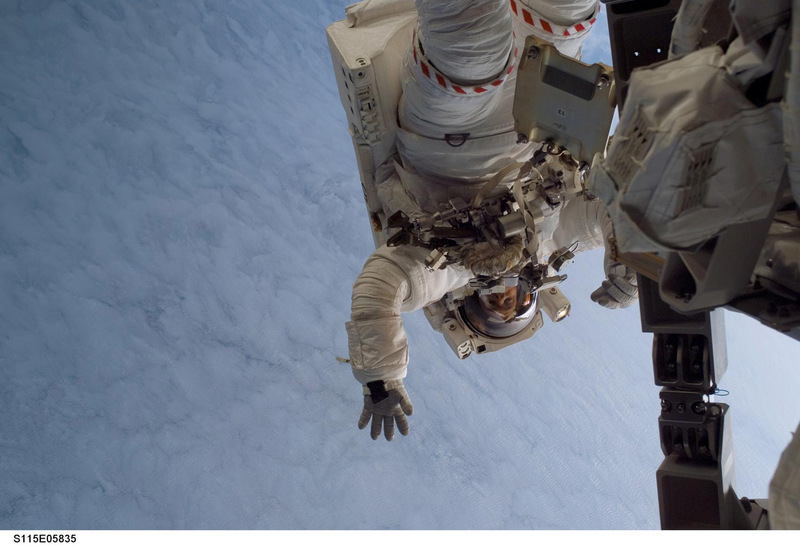 On 13 September 2006, Canadian astronaut Steve MacLean performs his very first spacewalk and takes a break to wave to the camera. Canadian astronaut Steve MacLean participates in a training session for mission STS-115 in one of the high-fidelity trainer/mock-ups at the Johnson Space Center. Photo taken on 11 February 2009. 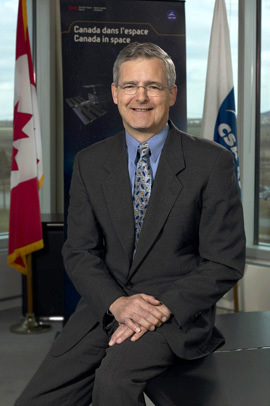 MacLean was appointed president of the Canadian Space Agency in September 2008. He held the position for nearly five years, resigning in June 2013 to work for Quantum Valley Investments (QVI), a private company co-founded by Mike Lazaridis to fund breakthroughs in quantum physics. MacLean is currently a member of QVI’s science advisory committee and an associate faculty member at the University of Waterloo’s Institute for Quantum Computing. Steve MacLean Public School in the Ottawa suburb of Gloucester is named after the astronaut, who attended its opening and spoke to its students in 2006. He also holds several other honours. Canadian Space Agency: Space MissionsA list of all space missions on which Canada has sent its astronauts, with links to learn more about each mission and each astronaut. Google Street View: International Space StationExplore sphere panoramas of various modules in the International Space Station.